These quiet little homes away from home have all the creature comforts you would expect of a city motel but without the noise of traffic racing past your window. 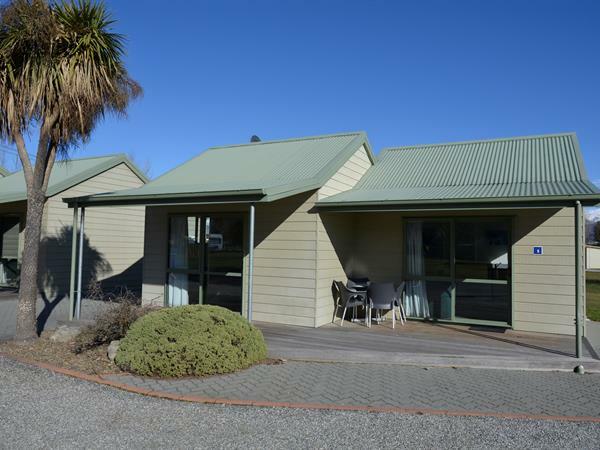 Set amongst park-like grounds these motels feature all the ’mod cons’ you need for your stay at Cromwell TOP 10 Holiday Park. The living area has a kitchen featuring full cooking facilities including a fridge, microwave and cook-top, and also a toaster and jug for breakfast. There is also a dining table plus a comfy lounge suite and a TV. Both the lounge and the spacious bedroom have ranch sliders that open out onto your own private garden patio. The one bedroom park motel unit sleeps 2-4 people. There is also a bathroom with a shower for your convenience.